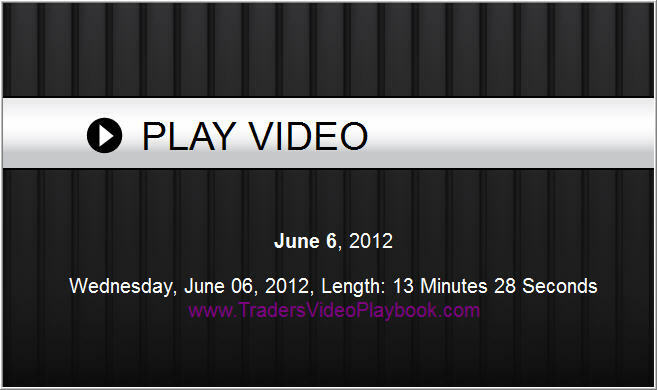 Get My Daily Video, Intraday Updates & Trades Today! 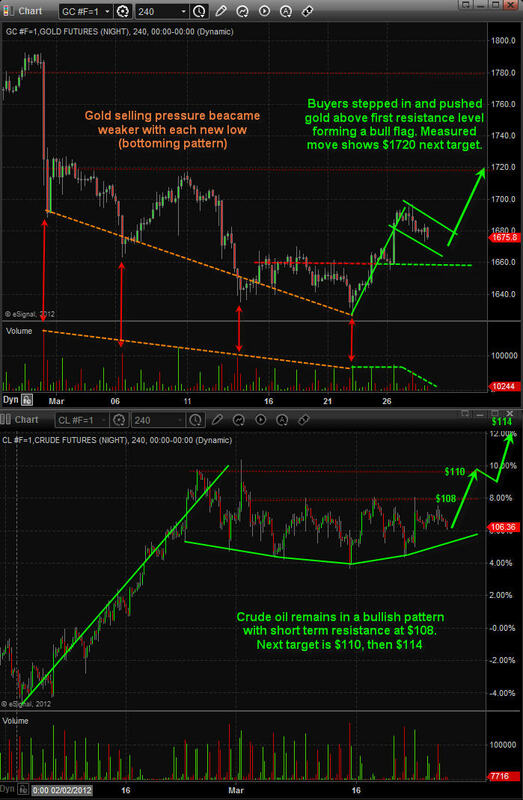 I have put together a very detailed video this morning coving bother some long term, short term and market cycles. 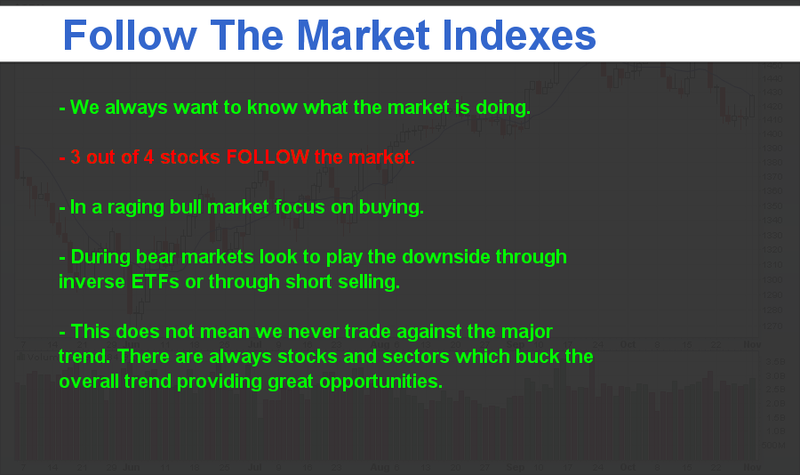 The video is a little longer than normal but I want you to understand fully where the market is trading and what to look for in the coming days. 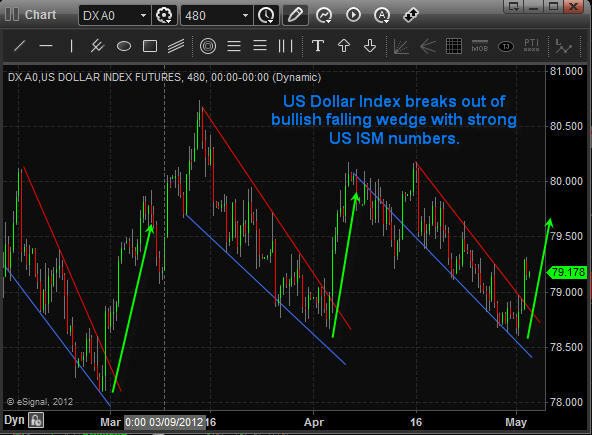 – Dollar is trading higher this morning which is putting pressure on stocks & commodities. – Fed Chairman Bernanke Testifies at 10am ET which will cause all investments to move wild. – Oil is trading slightly lower and oil inventory numbers come out at 10:30am ET. – Natural gas is flat and continues to build a base at resistance for a possible future breakout. 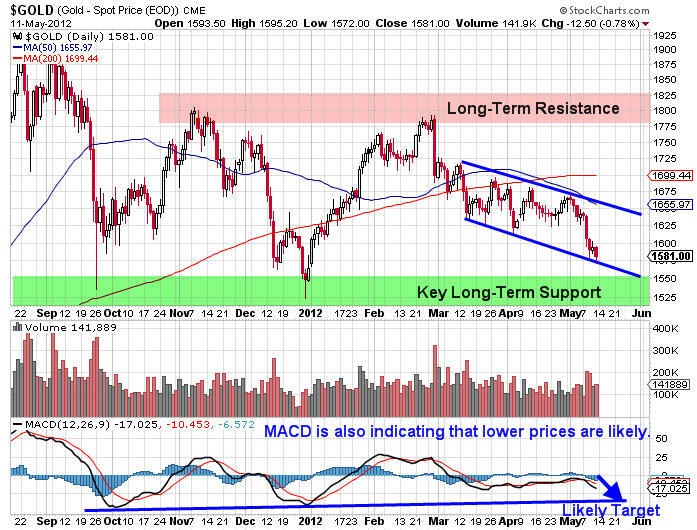 – Gold, Sold Miners and Silver continue to consolidate within a multi month pattern. A major move is brewing but has not been triggered as of yet. – Bonds are trading up from yesterday’s close after pulling back from reaching our double top price target on Monday. – SP500 is nearing a couple resistance levels (previous pivot high, down trend line) Momentum, short term and intermediate cycles are starting to top and that means we should be prepared for a pullback/down trend which could last 4-6 weeks. Looks like today will be an exciting with stocks and commodities jumping in price up 1-3% as the US dollar pulled back in overnight trading. The SP500 is setting up for another short play which is showed in the video. Yesterday our protective stop was triggered on the SP500 which was set at the previous day’s high. 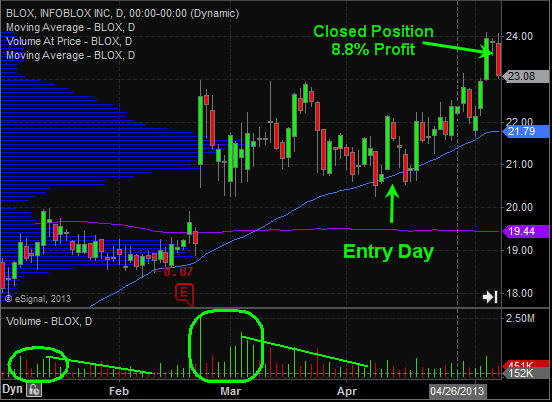 We locked in quick 7% on that position in only 5 trading sessions. You should be in cash at the moment. 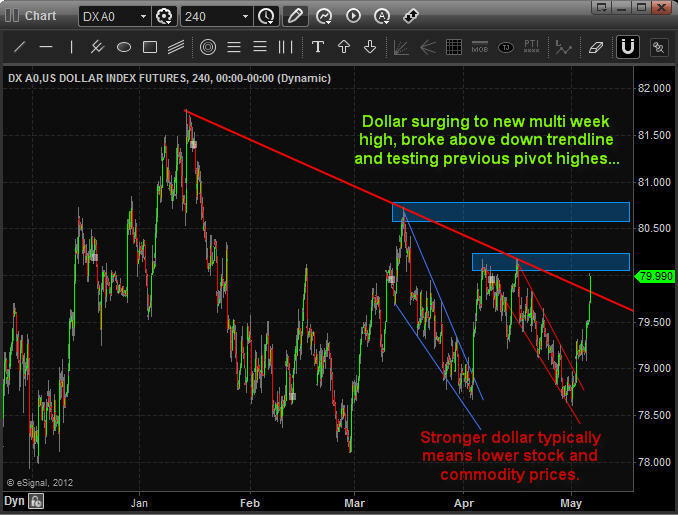 – Dollar index has pulled back and is now at support. 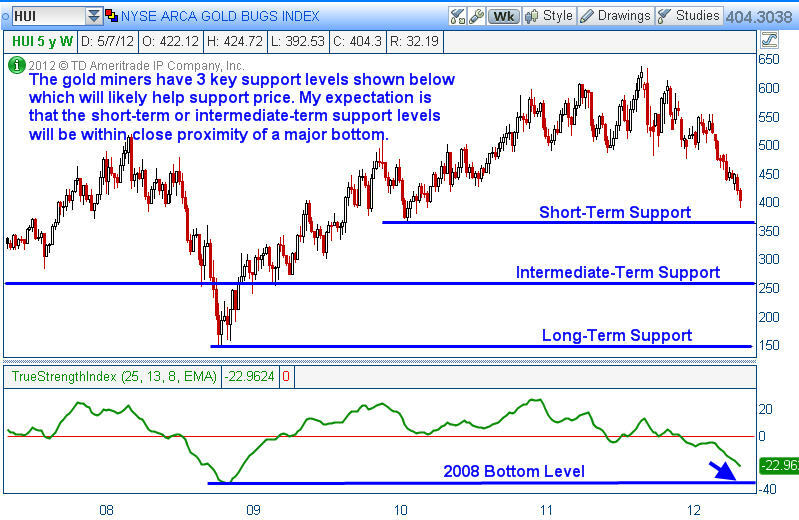 Looks as though it may bounce or rally any day now which means more selling in stocks and commodities. – Oil is trading at major support on the weekly chart but overall the intraday price and volume action remains bearish at this time. 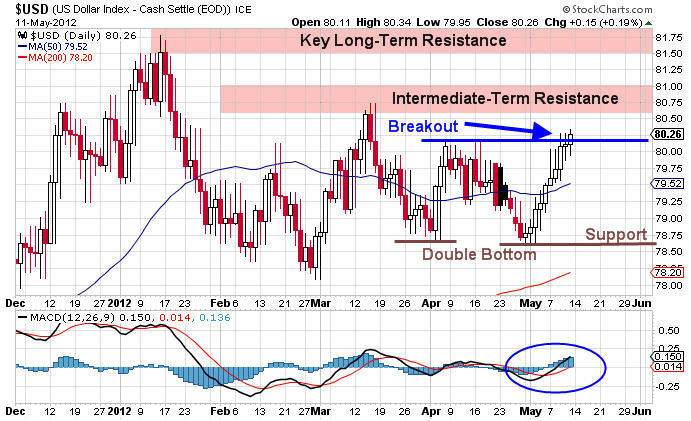 – Natural gas has bounced the past three sessions and is not trading at resistance. Lower prices are to be expected though Nat Gas is more of a wild card. – Gold, Gold miners and Silver are moving higher by 1-3% this morning but volume is not behind the move and higher highs and lows have not yet been formed. – Bonds have pulled back the past few sessions and could bounce or consolidate for a few more days yet. Price is floating in no-man’s land so it’s more of a wild card at this time. – SP500 just continued to move higher in overnight trading up over 1%. This is going to put stocks in an overbought market condition at the open. Sellers may step in today or tomorrow and force prices back down for a 1-2% drop as talked about in the morning video. Over the weekend I had an interesting conversation with a local trader. We typically meet a few times a year to share our market outlooks, new trading tools and techniques, and usually finish our session off in a debate about the US market manipulation and how to trade around it. Talking about market manipulation always opens up a can of worms and sparks some interesting theories… And while everyone has their own views and opinion on this subject I thought I would briefly share the main points I pulled from our conversation. I did talk about the dollar index last week, but the recent price action unfolding today is important so I’m going to recap on it again. – Countries around the globe are trying to keep their currency value low including the United States. – Presidential cycle strongly favors higher stocks prices which means the dollar should not rally until Nov. 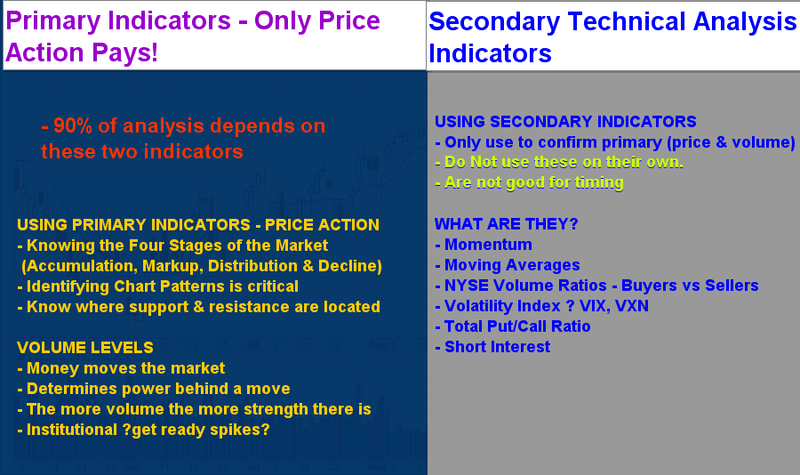 This chart time frame allows us to see all intraday price action while being able to zoom out several months for patterns along with key support and resistance levels. As you can see over the past few months the dollar has been consolidating sideways. Within this consolidation it has formed two bullish falling wedges with the most recent one breakout last week right on queue. Using this 24 hour futures dollar index chart we can see where things are trading through the weekend. On Friday the dollar index closed around the 79.50 level. As you can see the dollar has surged Sunday night by more than half a penny breaking through its down trend line. The next few weeks will continue to be exciting ones as strong moves in the dollar will create wild movements in stocks and commodities. If you zoom WAY OUT using the weekly chart this shows you the two major areas where the dollar index is likely to reach come November. Also with these levels are my SP500 price points which are simply numbers I pulled from the charts using basic analysis. I say this because I’m not into long term forecasting but rather shorter term price movements. A lot can change between now and then. So, if the dollar index rallies to the 86 – 88 level then I would expect the SP500 to be trading back down at the 1000 level. If this takes place, the Fed will likely issue QE3 to jam the dollar back down and boost equities. The flip side of the coin is that the dollar rolls over here and gets pulled down. This will boost stock prices in favor for the president’s election. After that the dollar would likely rally which in turn would put a major top in the stock market, kick starting a bear market. 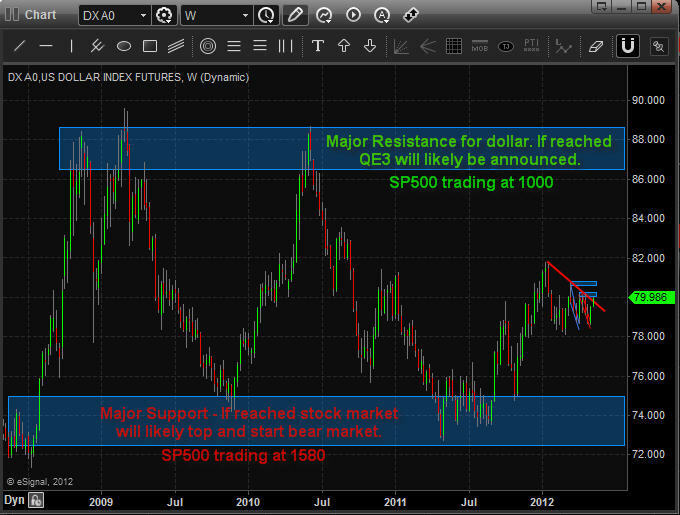 Do you short the market in anticipation of rising dollar and falling stock prices? OR do you buck the trend and stick with the theory of a lower dollar value and presidential cycle? The charts above clearly show how we are entering a major tipping point for the market and the next couple months are likely going to provide some big price swings for stocks, commodities and currencies. Investors and traders just can’t seem to catch a break when it comes to economic news. For example Tuesday in the United States we saw strong ISM manufacturing numbers which surprised the market. The numbers were way above expectations and it triggered a feeding frenzy in US based investments like stocks and the green back. The strong numbers in the US have everyone including myself thinking that this week’s jobless claims (unemployment rate) will be down. If this is the case then we will see stocks jump along with the dollar, much like what we saw trader do last Tuesday which is what Jim Cramer says best – BUY BUY BUY. Normally we do not see the dollar index rally along with stocks but if EU continues to show signs of weakness then it is very likely the dollar and equities inverse relationship could decouple. Reason being investors around the globe will focus their money on the more stable US investments like the dollar and US stocks. The dollar index is something that I watch very closely on a daily basis. Focusing on the weekly and 8 hour charts I look for support and resistance levels along with price patterns. 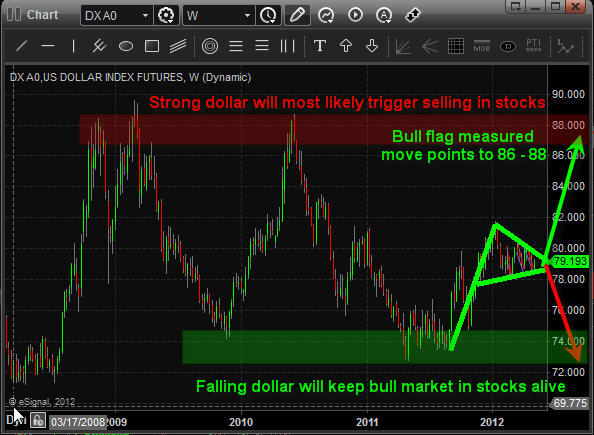 As you can see from the weekly dollar chart below, a large bull flag has formed. This pattern typically means higher prices and in this case the price target is between the 86 and 88 level. Currency manipulation seems to be strong and if the US wants a low dollar value then it’s likely it will stay low. This bodes well for stocks and commodities. Depending on what happens and how things unfold in Euro-land the dollar/stock relationship could decouple meaning they could start to rise together. If we get neutral economic data out of the EU and positive data out of the US it will likely boost the value of stocks and the dollar. But strong negative data out of the EU will more than likely just sent the dollar higher and spooking investors and triggering a selloff in stock prices. I find the dollar index to be a great trading tool in helping me time short term reversals in the equities market. Taking a look at the 8 hour chart below you can see recurring bullish falling wedge patterns. The most recent brake out was this week and I anticipate the 79.50+ levels to be reached in the near term. If the dollar does continue to move higher then I expect sideways to lower stock prices for a couple more sessions. That being said, the mixed economic data between the US and EU is going to cause this scenario to be unpredictable. Depending on the jobless claims this week stocks could actually rally while the dollar moves higher. Unfortunately, this week’s mixed data does not provide any trading opportunities that I feel comfortable making. In short, I feel a higher dollar is likely to happen. As for stock prices, well they are more of a wild card at this time but my analysis slightly favors higher prices. To quickly touch on precious metals, they are likely to be under pressure for a few sessions simply because of the rising dollar. I hope my analysis helps paint a picture of what to expect in the coming days. The next few trading sessions should be interesting with precious metals on the verge of a rally which should get the attention of traders and investors once again. If we can get investors to start looking at gold and silver again instead of high dividend paying stocks we will see gold hit $1800 an silver $37. 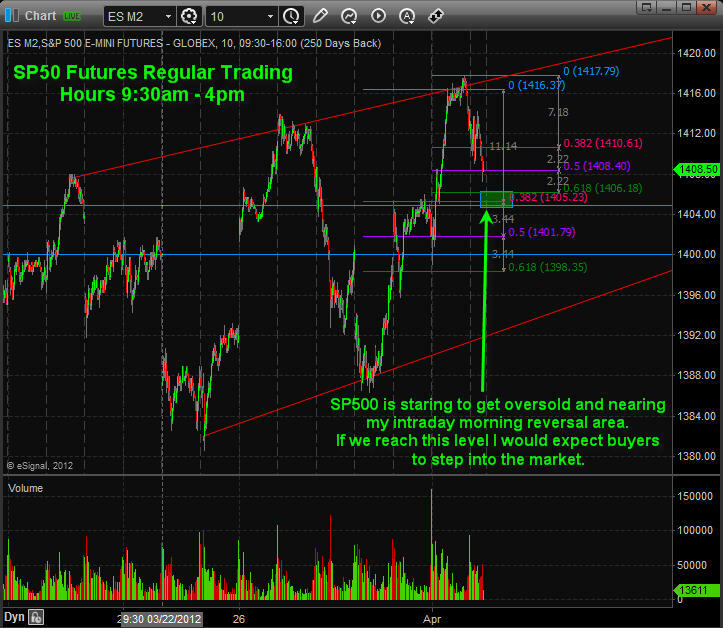 The SP500 has been pulling back and looks about ready to bounce going into the afternoon. I recorded my morning analysis explaining what to expect in the market this week and the key support and resistance levels.